Currently there are more than 60 people on our waitlist! About 10-15 plots become available each year. If you'd still like to join us, click this link and we'll add you to our list of interested gardeners. PLEASE ADD ME TO THE WAITLIST! Plots are leased annually from January to December. When a plot becomes available, we go through the waitlist on a first-come basis. You may not get a plot right away, but there's generally some turn-over in Spring and again in Fall. It is important to regularly stay in touch with us so we know you are still interested. Obviously we can't guarantee you any particular plot. 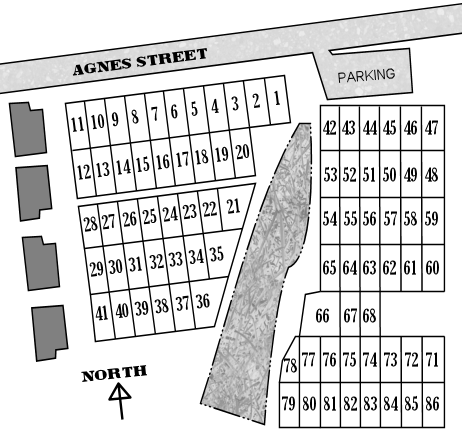 Agnes Street Gardeners' Association is a non-profit association registered under the Societies Act of British Columbia. The land the Gardens occupy is leased from the Municipality of Saanich and is administered by Saanich Parks Department.